The principles of basic cellular immunology as elucidated during the past decade include a much greater understanding of the way cytolytic T cells and helper T cells are generated in the host, how immune tolerance mechanisms lead to the deletion of reactive T cells centrally within the thymus or peripherally within the tissues, and the molecular mechanisms by which T cells recognize cognate antigen and transduce signals to become activated effector cells. A significant level of attention has been paid in recent years to how those principles of basic immunology may be applied to the generation of immunotherapy strategies for cancer. 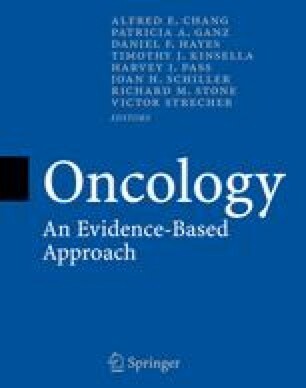 In this chapter, we review recent data on the existence of tumor-specific and tumor-associated antigens that might be recognized by immune effector cells; discuss the development of immune molecules and cytokines that might be effective in mediating tumor regression by an immunologic mechanism; mention new developments on mechanisms of immunosuppression in cancer patients; and review the most recent data on the use of nonspecific and antigen-specific immunotherapies that have promise in the treatment of human malignancy.